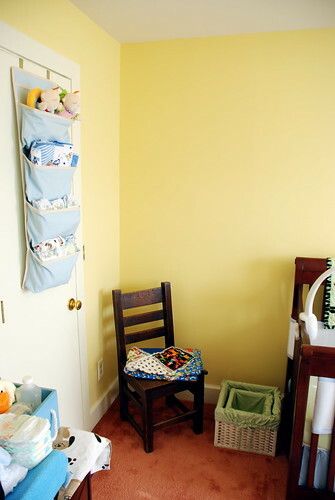 The Nursery's Ready, originally uploaded by soldierant. The nursery is ready. Kirby's off to the boarder's for the next couple days. And tonight we're going to the hospital to induce labor. I may (or may not) post some notes to Twitter as the labor progresses. (Don't count on it, though.) Now all I have to do is focus on work for the rest of the day. Can't wait to get home this weekend to see the new nephew. Love you guys. This page contains a single entry from the blog posted on April 18, 2007 11:00 AM. The previous post in this blog was Contractions. The next post in this blog is Hello World.